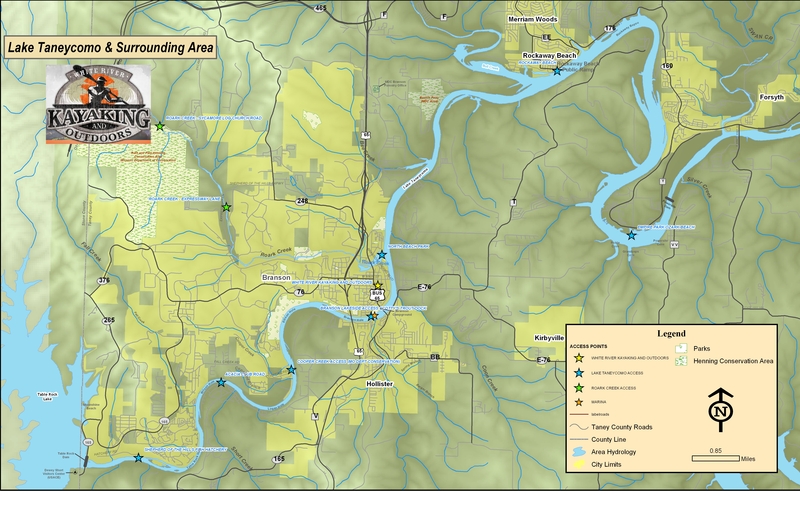 We offer several launch locations along the White River (Lakes; Taneycomo and Table Rock). Our friendly staff will drop you off depending on the length of the trip and you will paddle right back to our shop to end your float. White River Kayaking will call you to confirm your Date and Time and to answer any questions you may have. Kayak(s) are rented on a first come first serve basis. Remember if you are part of a group or traveling with minor(s) 17 and under that are not part of your household, you will need a signed permission slip(s) from parent(s)/legal guardian(s). If you do not already have a form provided, you can print the appropriate permission slip below, have it signed and bring it with you.